Hi Everyone! Welcome to Jaded Blossom's August 2014 Release Blog Hop. 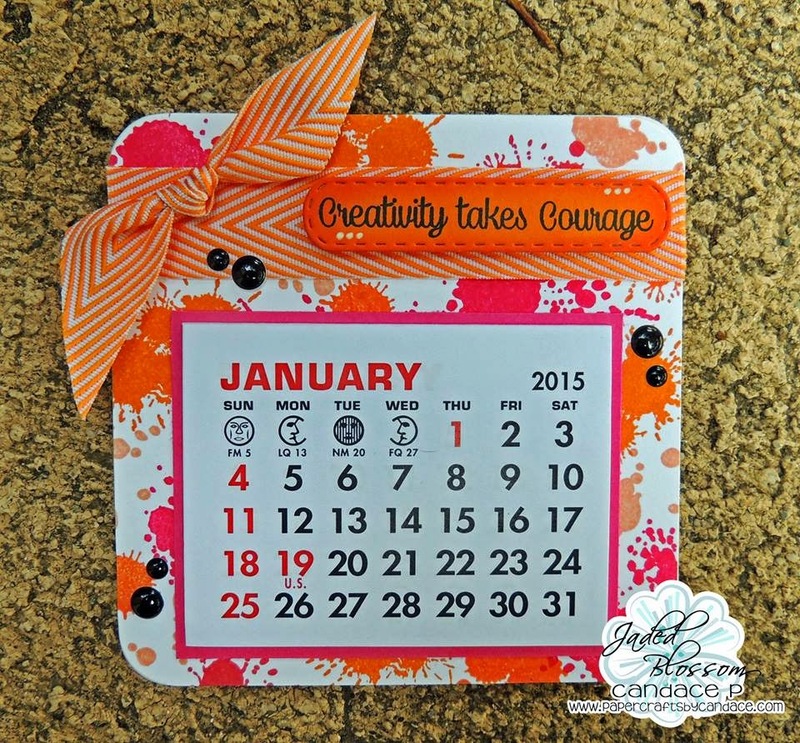 On the first Calendar I used Mini Tag Dies 2, Dream in Color and Paint Splatter stamp sets. Love the bold/soft paint dabs on the project. Also, love the calendars - great job! Love the colors. I think the calendars are just super cute. These are fabulous! LOVE the orange paint splatters with the chevron ribbon and the glittery rainbow is so pretty! LOVE the calendars! So creative. Love the little calendars. They are so cute with the paint splatters on them. Very Cool! Love these little calendars! Great ideas on the calendars! Love them...great for teen girls lockers! Super cute, love the calendars! Very cute projects! thanks for the inspiration. These is the cuties treats every. I love the glitter add to the rainbow. Oh am I ever glad I ordered some calendars these are awesome!!! Really cute!!! Love the rainbow! If I wasn't convinced enough before I'm more than sold now. I absolutely love the way that paint splatters set is turning out. Great job showcasing it. Love the potential with the calendars. Yours are fabulous. I'm excited about receiving my order from this release - yay! Super Cute!! Love the colors!! 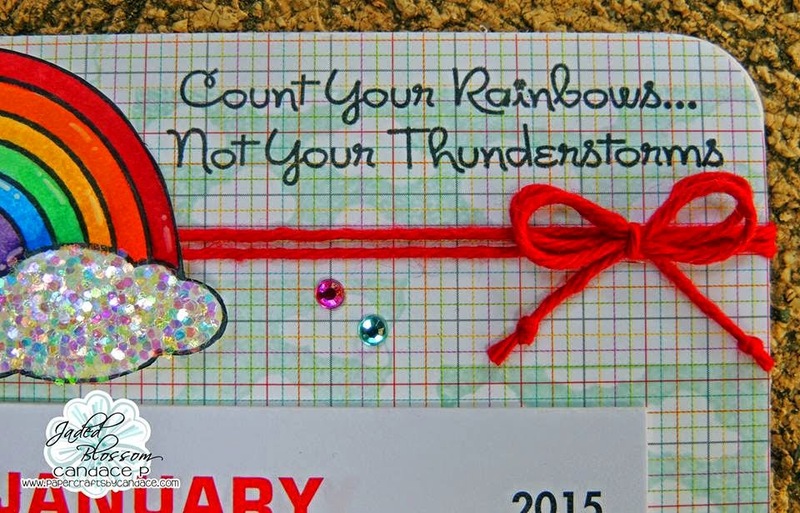 Love the sparkly rainbow calendar! I totally love your calendars! I am loving the splatters! These are such great gifts. Love them! 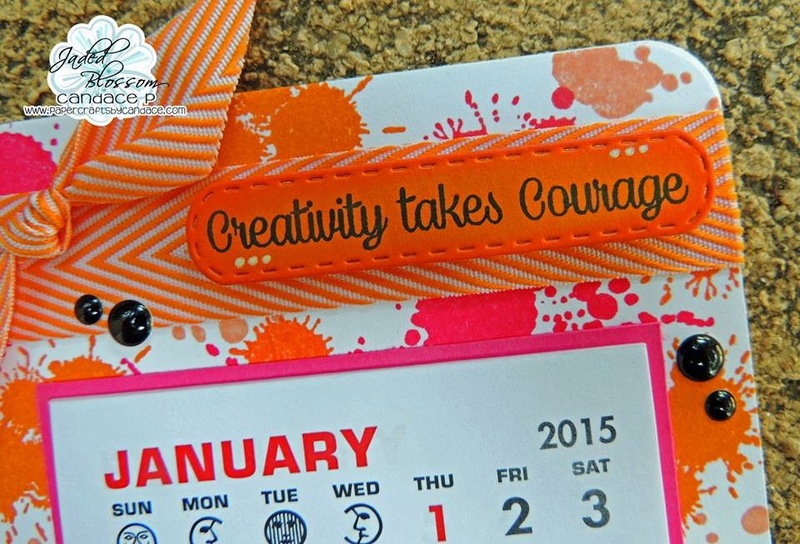 Love the paint splattered calendar. Love these Candace!! So fun!! AWESOME, I need to snag some of those calendar kits, they'd be perfect for coworker gifts this year! Such cute examples! What material is the Creativity takes courage, it looks so cool! I already collect calendars, these are adorable, thank you for sharing. Calendars are really cute! Love the orange one. Your calendars are very creative. Love the orange. Great calenders--love the one with the rainbow. These are adorable! I love this release so much! One of my favorites! OMGoodness! I knew I wanted some of those calendars, but now I HAVE to have them. Awesome!! 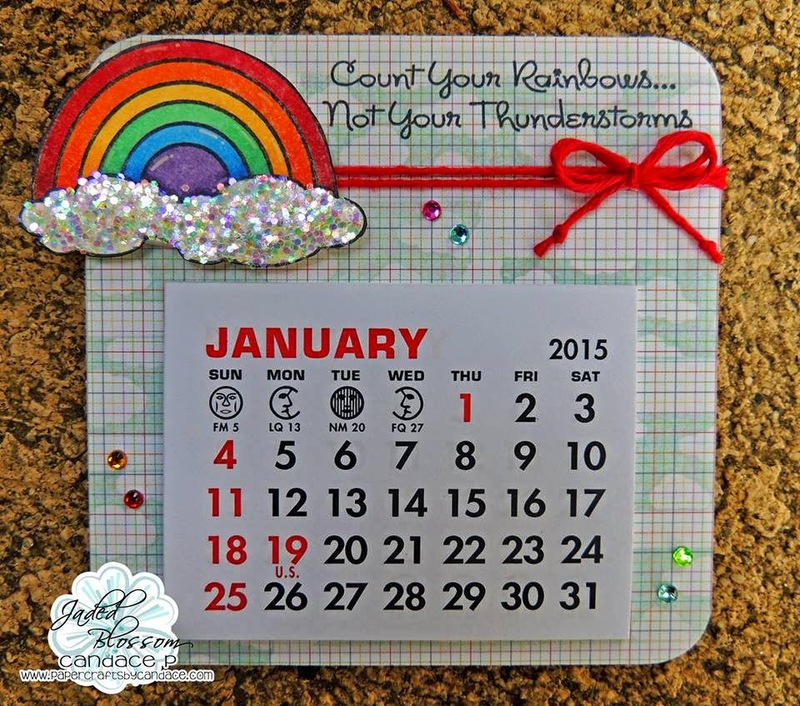 Such a cut calendar Am loving the background stamping and cute clouds. Love the calendars! Very cute! Love these and I always love the detail you put into your projects. Great job!!! The calendar is super cute! Love it! Those are some super Awesome Calendars.